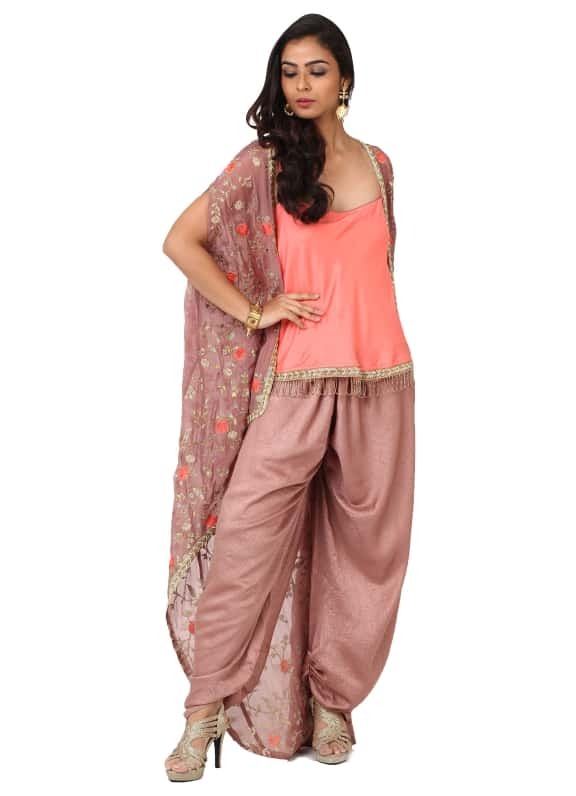 This ensemble comes with a bright pink cami with cutdana work and tassle hem and plain dhoti. 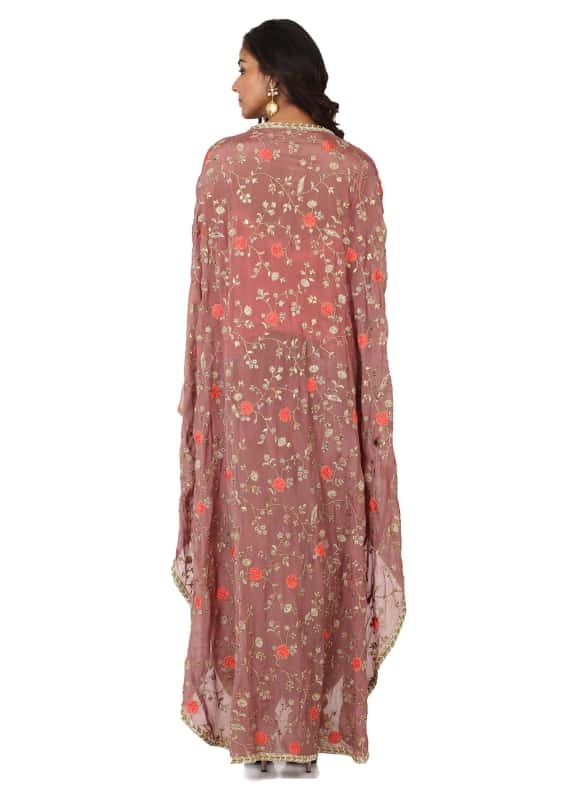 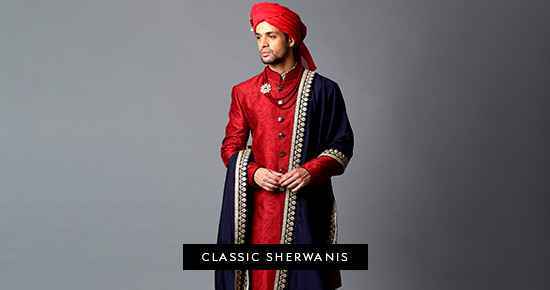 It is layered with a floral zari embroidery cape. 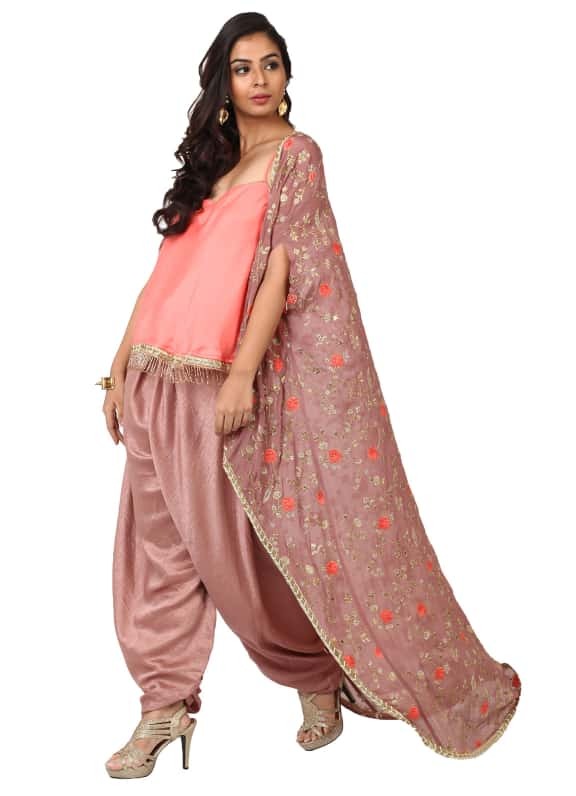 Wear this offbeat dhoti cape set for a mehendi ceremony and style it with a pair of Micare earrings and an Amethyst cuff.